Some 450 people gathered at Cipriani Wall Street in downtown Manhattan on January 15 to mark the 20th anniversary of the Fund for Armenian Relief (FAR) — an organization that has provided strength and opportunity to the Armenian people — and pay tribute to a true humanitarian and co-founder of FAR, Dr. Edgar M. Housepian. Many guests traveled hundreds of miles to attend the regal gala, which helped to raise close to $1 million to support FAR operations. His Holiness Karekin II, the Supreme Patriarch and Catholicos of All Armenians, presided over the event and addressed attendees. Other notable speakers included Tribute Committee Chair Dr. Tavit Najarian; Primate of the Diocese of the Armenian Church of America (Eastern) and President of FAR Archbishop Khajag Barsamian; Chair of FAR’s Board of Directors Mr. Randy Sapah-Gulian; President Emeritus of Boston University and FAR Board member Dr. Aram Chobanian; and Dr. Housepian’s son Dr. David Hovsepian. President Barack Obama sent a congratulatory letter on the occasion of the 20th Anniversary of the Fund for Armenian Relief. 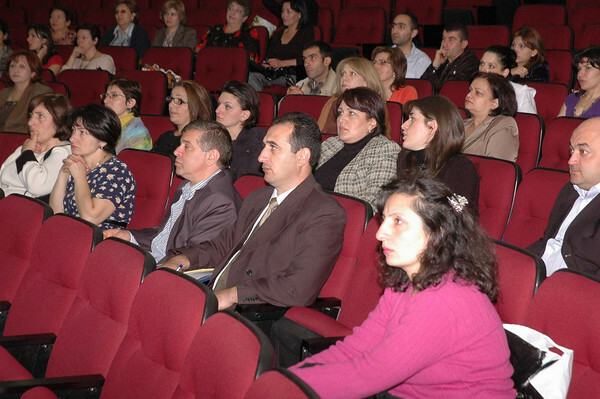 Year after year and month after month, the Fund for Armenian Relief (FAR) helps more and more Armenian physicians enhance their medical skills, learn about new developments in their field, and essentially become better doctors through the Continuing Medical Education (CME) program. To read full release, please click here. 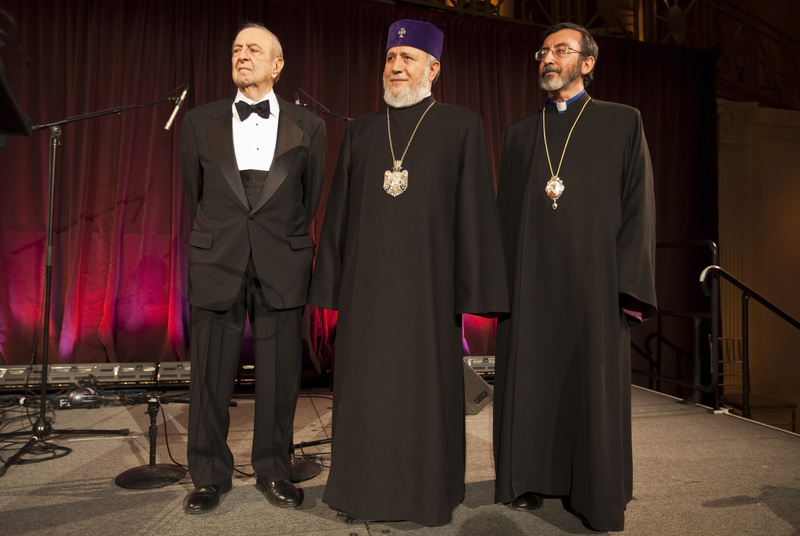 The Fund for Armenian Relief (FAR) will honor one of its founding members, Dr. Edgar M. Housepian, at a gala banquet in Manhattan on January 15, 2010. The event also will mark FAR’s 20th anniversary. His Holiness Karekin II, the Supreme Patriarch and Catholicos of All Armenians, will preside. Dr. Housepian, a renowned neurosurgeon and professor, will be recognized for his many contributions to medicine, and for his involvement in the relief and medical efforts in Armenia. Click here to read more about Dr. Housepian’s work. As two high school students living in Connecticut, we usually spend our summers on Cape Cod scooping ice cream. This summer, however, was different. We decided to go to Armenia to volunteer at FAR’s Child Protection Center and also create a documentary to develop awareness about child welfare. We found that the Center fills a void by addressing the long-term needs of abandoned and neglected Armenian children. Staff address their physical and psychological needs while at the same time, they try to find them a loving home. We spent lots of time with the children at the center and observed how they were on a path to heal. We met new children admitted to the center and we accompanied case workers as they conducted follow up visits around the country. Once we got to know them better, we documented their stories. Before we returned to the United States we knew our lives had changed a little through the connection we’d made with these kids. We had created memories that will last us a lifetime. More Armenians doctors are offering better care to more people. More Armenian orphans have the chance get an education. More Armenian children who were once neglected or abandoned now have the help and support they so desperately need. More young Armenians have a chance to better their careers. These marks of progress prove that the Fund for Armenian Relief is making a difference to many Armenians . You are currently browsing the archives for the FAR Media Releases category.